If you’re looking to upgrade your flooring or countertops, consider the beauty and unparalleled versatility of well-laid tile. Portland kitchens, baths, and commercial properties have benefited from the quality products of Macadam Floor And Design for over 30 years. Our porcelain and ceramic tiles are a superior blend of form and function that’s suitable for the surface of any home or office. With so many fine products and the inherent potential for creativity in tile design, you are sure to find materials for your project that match both the look and price point you desire. We are dedicated to upholding our standards of excellence, not only with our first-rate materials but also in our outstanding customer service. At our Design Center, our experts will help you coordinate the various aspects of your design, from flooring to countertops to cabinetry, in order to ensure your finished product makes a lasting impression. 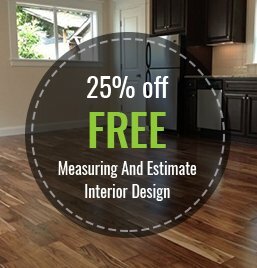 At Macadam Floor And Design, we supply the tile Portland residents trust. Visit our store today to consult with our design team on your next tile project, or simply fill out our online form to get a free estimate!